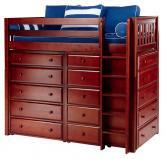 Maxtrix Kids Storage Loft Beds - If you're trying to decorate a small bedroom for your son or daughter, we've got the perfect solution. 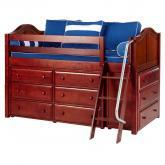 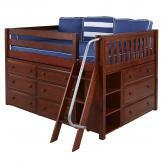 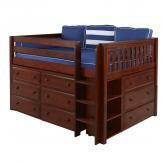 Maxtrix Kids storage loft beds pack everything you need in the footprint of a child's bed. 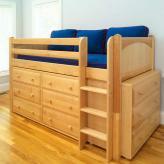 There are storage options for all loft bed heights. 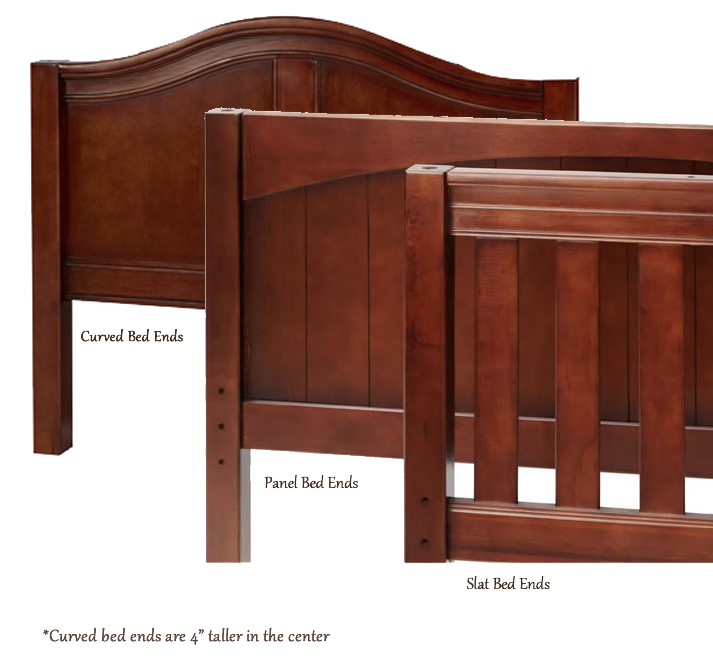 The low lofts, mid lofts , and high lofts all have dressers and bookcases that fit just right for a classy "built-in" look. 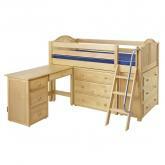 The ultra-high loft is another great option if you want to put a desk underneath. 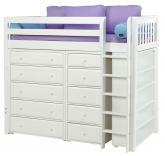 Maxtrix Kids offers so many configurations that you're sure to find a storage loft bed to fit your needs. 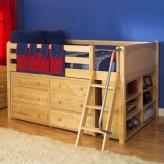 In addition to dressers and bookcases, your storage loft can incorporate a child's study desk, toy box, storage cubes, or even a staircase with a drawer in each step. 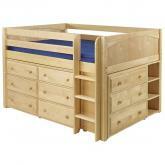 The lofts shown below are simply samples, but additional options are available. 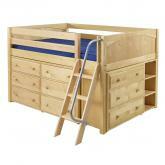 We would love to help you design a Maxtrix Kids storage loft bed for your child. 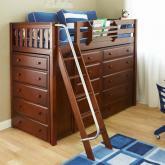 Help your kids get organized with a storage loft bed by Maxtrix Kids. 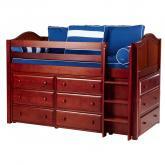 Get a "built-in" dresser, bookcase, cube storage unit, or toybox to fit under your child's bed. 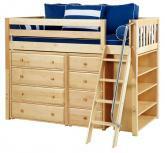 Storage loft beds are perfect for organizing small bedrooms where space is limited. 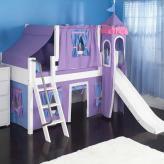 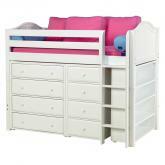 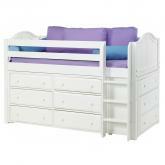 The beds shown above are just a sampling of the Maxtrix Kids storage loft beds available. 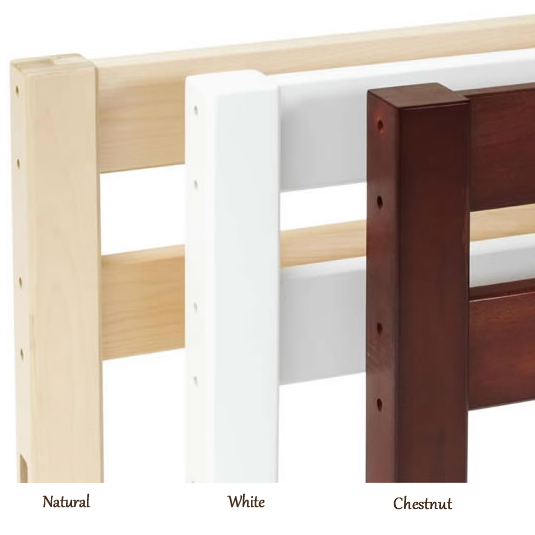 Get any bed shown in any Maxtrix wood color or bed end style, or contact us for help designing a custom storage configuration for your child's loft bed.